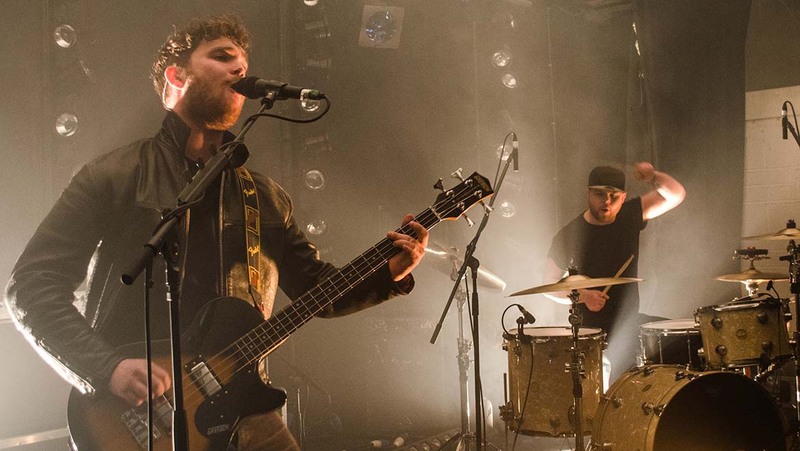 Rock duo Royal Blood are touring Europe with a selection of DPA Microphones that were chosen because they deliver such a natural sound. 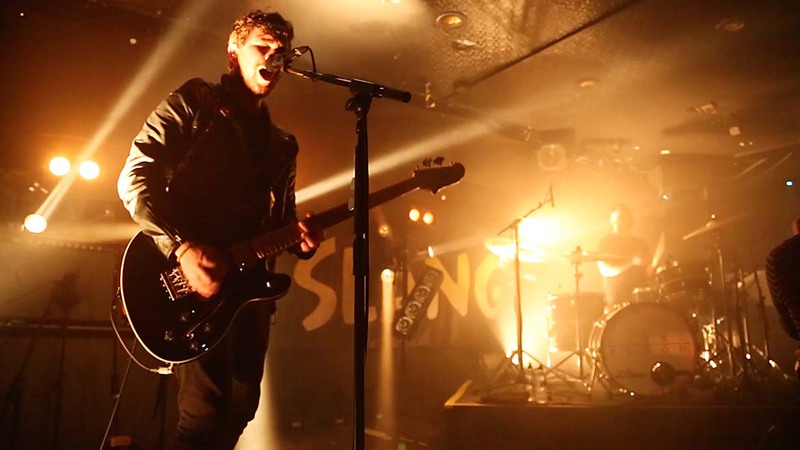 Mercury Prize nominees Royal Blood, one of the breakthrough bands of the year, have been using a range of DPA microphones on their recent UK tour. "We use DPA's d:facto™ Vocal Microphone on vocals and d:vote™ 4099 Instrument Microphones on snare bottoms and toms," says Front of House engineer Phil Jones from Output Audio. "I was never a fan of snare bottom and now literally can't imagine not using one." Jones adds that he is now a confirmed fan of the quality that DPA microphones deliver. "They just sound great. The d:facto™ Vocal Microphone is genius. Even in a small club I can get it as loud as most dynamic mics without hideous feedback, but the sound quality and 'intelligibility' is still there. Both the d:facto™ and the d:vote™ 4099s sound very natural without having to use any obvious big cuts and boosts. It makes for a far better starting point EQ and processing-wise, as long as your source is good." 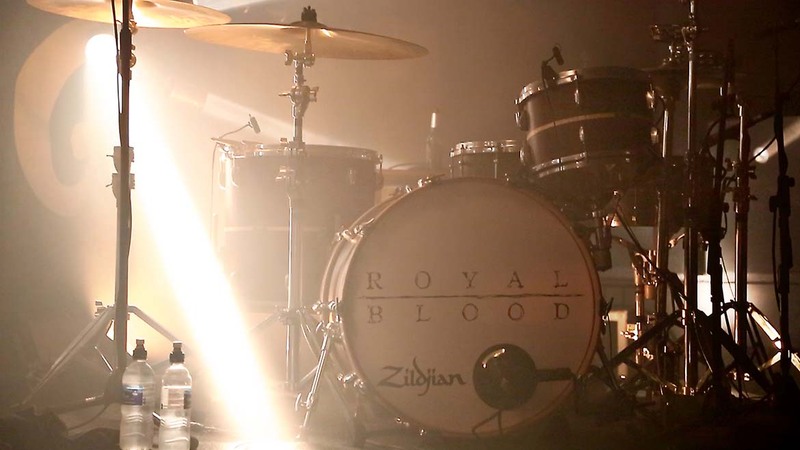 Brighton-based Royal Blood consist of bassist & vocalist Mike Kerr and drummer Ben Thatcher. Jones started off playing the drums himself and so has a fine appreciation of the amount of spirited abuse Thatcher gives his kit. "Honestly, I didn't think the d:vote™ 4099s would survive with the way Ben plays drums," Jones says. "A couple of times in the summer he pushed the whole drum kit over and I was mildly terrified what I would find when the risers got pushed round. But, fingers crossed, no problems so far. The d:vote™ 4099s are so small and discreet they just stay out of the way, which is extremely important. They sound very natural; they sound like the drums! I do very minimal EQ work and that’s what we like — natural sound." Working with a duo, even one as energetic and sonically bombastic as Royal Blood, brings a certain degree of precision to Jones' work. "With only 17 channels to work with, it has to be perfect," he says. "You’re not going to get away with losing the third keyboard or second backing vocal in a mix. If something is slightly off, you're in big trouble; there’s nowhere for anything to hide. I'm constantly on my toes, but it does leave quite a bit of room for interesting FX and creativity." As part of that creative experimentation Jones has been using a DPA d:dicate™ 4091 Omnidirectional Miniature Microphone on Thatcher's kick for a couple of months now and says that it has been an eye-opening experience. "I come from more of a jazz background and for that, it would be amazing," he says. "Outdoors, with lots of sub, and control of the sub especially, it's brilliant. I get some extra bottom end that I can't put my finger on and I love it." Royal Blood's autumn tour and subsequent clutch of European dates were thrown into disarray when Kerr went down with tonsillitis. However, dates are being rescheduled, and it's almost easier to find places where they aren't playing in 2015 than where they are, with a support slot on a North American tour with the Foo Fighters being one of the highlights. And where Royal Blood goes, from Europe to North America, Australia and beyond, Jones and his DPA mics go too. "All of our DPA microphones were supplied by the company's UK distributor Sound Network," Jones says. "We now fly the mics round the world and use them for everything. We have some very expensive mics, but the results are fantastic and consistency is key. That's especially true for broadcast when we can't have total control, but we just turn up, turn it all up, and basically it sounds great."